Does the U.S. need more engineers or fewer engineers? It's a question that gets people talking. Engineering is one of the top 10 hardest jobs to fill in the U.S. according to the Manpower Group's annual talent shortage survey, and ranks at number six on the list. The Bureau of Labor Statistics forecasts that the number of science and engineering jobs will grow by more than 1 million between now and 2020. The nation will also need 1.3 million of these professionals to replace workers who are exiting these fields. With increasing retirements and professionals choosing other fields, will there be enough engineers to meet the talent demands of industry and help the U.S. to remain a leader in innovation? The answer to this question depends primarily on who you ask. NSPE members, a public policy and workforce expert, and an industry recruitment executive shared with PE magazine their perspectives on this engineering workforce issue. It's not just how many engineers the nation needs today, says Austin Lin, but also about how many engineers need to be educated and ready within the next 10 to 15 years. "We are probably not so dire with our numbers today, but we definitely need to improve the visibility and the brand of engineering now," says the chair of NSPE's Professional Engineers in Industry. The jobs are out there, however, the talent demands vary from industry to industry. Petroleum is hot right now and manufacturing is on the rebound, says Lin, a supply chain operations manager for Proctor & Gamble Chemicals in New Jersey. "We are hiring, but can't find the right level of candidates," he says. "There may not be the people with the right background, the right type of knowledge, or the right level of experience to fill these roles." What is the right background and level of experience? Leadership potential is the key. Companies want someone who can take on increased responsibility or can develop technical mastery in another area within the next three to five years, says Lin. "This helps the company because it's not losing on its investment," he says. "It also helps the employees because they are being given more career options and growth potential that could come with [increased] pay." However, there can be a negative consequence to this strategy. "So, rather than having a continuous stream of talent entering and evolving and growing in the company, there will be [talent gaps]," he says. "That could be harmful to both the company and the applicants." There is a fear, acknowledges Lin, that today's healthy balance of engineers and nonengineers or engineers moving into other fields could be lost. NSPE, the engineering community, and government programs to improve K?12 STEM education and ensure diversity of engineering graduates are critical to maintaining this balance. "These programs are important because if conditions change we will be left at a professional disadvantage if we don't have these populations coming out of our universities," he says. Will this focus lead to creating too many engineers? If you consider market fluctuations, global demand, and a new reality that American engineers aren't just competing with other American engineers, the answer is no, says Lin. "Regardless of what flag an engineer is waving, there really can never be too many engineers," he says. "We also need individuals with that engineering mindset in other fields not traditionally associated with engineering." He adds: "This connects with the NSPE vision of improving safety; and having people with that mindset is definitely a benefit to the public and society." A Randstad Engineering confidence index revealed that engineers are feeling secure in their current positions and about their ability to pursue new job opportunities. Yet, it's a different story for the clients of Randstad Engineering who are in great need of engineers in the automotive, energy, and manufacturing. If you consider retirements, individuals who are exiting engineering for other fields, and a dearth of qualified candidates, you will see a deficit of talent, says Jay Rogers, vice president of recruiting. When Rogers does find the right candidates, the competition to get them hired is stiff. "Their current employers are making them counteroffers and they may have other job offers in addition to the one we are presenting," he says. What are some of the other factors that are challenging Rogers' clients? If the clients have manufacturing or power plants in remote locations, some engineers (particularly recent graduates) may not want to live in a rural area. Some clients' expectations can be too lofty and constrained. He advises them to be more flexible with their requirements or be willing to offer higher salaries. Engineers are also attractive to businesses outside of the field, which can pose another challenge. "No matter what business you're in, everybody has problems that they need to solve," he says. "Engineers are equipped to solve problems." The savvy clients, says Rogers, are stepping up their outreach efforts, particularly efforts to secure junior talent. "More of our clients are offering internships and co-op assignments where they can get engaged with these students sooner and offer them jobs prior to graduation," he says. In addition, firms should be aware that their employees and prospective candidates are getting solicited for new opportunities. They are hearing about the opportunities by talking with their friends and colleagues and through social media. "If a client is paying attention to these things, they are likely to have fewer turnovers," Rogers advises. What will ultimately attract qualified candidates and help a company retain them? It's not always about the money, says Rogers. "It's about the culture of the organization and if candidates and employees believe in the company mission," he says. "They want to know that there are future opportunities for them within the organization and if they can receive fair compensation." Over the years, Hal Salzman has conducted research and analyzed data from various reports on the state of the science and engineering workforce and concluded that there is a hiring problem. A hiring problem, however, is not the same as a shortage problem, says the professor at the E.J. Bloustein School of Planning & Public Policy at Rutgers University. Salzman believes there's no sign of a current unmet need in the labor market and refutes claims of a present talent shortage. Several reports and policy statements on this issue, including the NAE's Rising Above the Gathering Storm, he says, often emphasize a future need for engineers. Why are these companies experiencing a hiring problem? Salzman points to three problems: Employers want something that's just not available in the current market, they have unrealistic expectations, and they don't want to pay what it may take to secure the right talent. "They keep looking and looking for the perfect person, preferably somebody they don't have to train," he says. "When there's a tight labor market, you take someone who is good and know that you're going to have to invest in training. Their expectations have changed." Ten to 15 years ago, engineering and technology firms didn't expect to get an instant return on investment for an employee, recalls Salzman. It could take up to four years before they received full productivity comparable to the employee's salary. He describes it as similar to a medical residency in which the professional gains experience over three to four years. "Now, firms want someone who can come in and be productive in week one, if not on day one," he says. "Is this really a national policy problem because firms want people with experience and no one is willing to train new engineers?" Who is willing to invest in these new graduates? "Recent [STEM] graduates who are high performing are getting at least a $55,000 starting salary with no experience from financial firms," he says. "The problem isn't a shortage. These engineering companies are being outbid." The demands of the markets should essentially answer the question of how many engineers need to be produced in the U.S., says Salzman. "What the petroleum and nuclear industries and in an earlier period in the IT market have shown is when firms need talent and are willing to pay, students respond." Is the U.S. producing enough engineers? For Claudius Carnegie, P.E., the focus should be on the quality of engineers rather than on a larger quantity of them. Simply put, the U.S. isn't producing engineers who are competent to meet the demands of the marketplace for engineers, says the engineering professor at Florida International University in Miami. 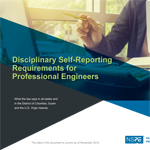 "We are not producing graduates with a skill set that has industry saying, 'Hey, we're going to gobble you up into our industry,'" says Carnegie, the chair of NSPE's Professional Engineers in Higher Education. "Industry is saying, 'They're just not ready.'" What are these graduates lacking? Practical experience. Carnegie, who received his bachelor's degree in the United Kingdom, would like U.S. institutions to follow some European education models by embedding internships into the engineering academic programs. "I had to go to work in an industry that was relevant to my discipline of engineering when I went on [break]," he recalls. Carnegie does see efforts within the engineering community to address one part of this issue. He points to the initiative, supported by NSPE, that advocates additional education beyond a bachelor's degree to qualify for a PE license. "This is somewhat a step in the right direction because it points out some of the deficiencies in the bachelor's degree programs, but it is not the panacea," he says. "We need to find some way to more aggressively integrate practical experience into the programs to get our students ready for the job market." The responsibility to improve the quality of engineers shouldn't just fall on academia alone, says Carnegie. Industry should partner with colleges and universities to remedy the problem. "We need a partnership because both parties are stakeholders in this in the end. Finger-pointing isn't the way to go," he says. "Certainly government should play a big role in this as well because officials are making policies."